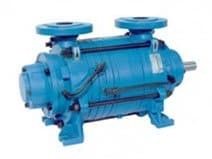 SVC dry screw vacuum pumps are for chemical and industrial process applications. These are an efficient, cost effective, low maintenance solution for aggressive applications, compliant with restrictive international environmental regulations.Stand-alone performance from 110 to 2,700 m3/hr with levels to 0.05 mbar absolute. Manufactured in Italy, Pompetravaini is one of the world’s leading manufacturers of single and two stage liquid ring vacuum pumps with suction capacities from 4 to 3,500 m3/hr capacity and levels to 10 mbar absolute. Pompetravaini has the flexibility to manufacture with special materials and seals to suit your unique requirements. The Emtivac N2BE range of large capacity vacuum pumpsis manufactured to our exacting standards to meet the requirements of the toughest applications in the mining, paper, sugar and power industries. Some applications require large suction capacities at high pressure. Often in this case, a multistage vacuum pump system is required. 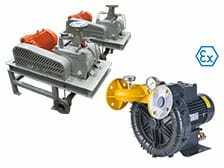 Emtivac designs and manufactures hybrid systems using steam ejectors or roots type mechanical boosters in series with a suitable backing vacuum pump, liquid ringor rotary vane, in order to reach the higher levels. Almost any combination of suction capacity and inlet pressure can be achieved with these arrangements. The liquid ring compressor is the ideal machine for compressing wet, corrosive and flammable gases. Emtivac manufactures complete packages with capacities from 4 – 70,000 m3/hr. Flare gas recovery packages to API 681 standards complete with all electrical controls and instrumentation designed and manufactured by Emtivac. A wide range of materials and mechanical seal options are available. A family of API liquid ring compressors specifically made for the petroleum, chemical and gas process industries. 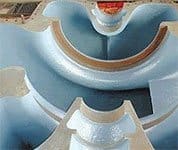 The design takes into account all the applications where heat sensitivity of the gas, explosion hazard, wet gas or operational problems make impossible the use of other type of compressors. Reliability at the highest level and low maintenance costs are the distinctive factors for this range of liquid ring compressors. Emtivac designs and manufactures multi-phase extraction systems (MPE), soil vapour extraction systems (SVE) and sparging blower packages suitable for hazardous area applications. (Supplied skid mounted or containerised). We supply custom built energy efficient packages, extremely low in maintenance to suit a variety of industrial applications. 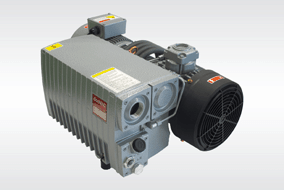 These are diesel or petrol engine driven vacuum pump system packages for applications in isolated areas. Oil sealed liquid ring vacuum pump systems designed to provide the ruggedness of a liquid ring pump with zero water usage, low maintenance and the capability to handle hot applications whilst maintaining full efficiency. FPZ is one of the world’s leading manufacturers of quality side channel blowers . 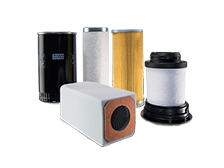 FPZ side channel blowers are manufactured in Milan, Italy and have an industry leading three year warranty. Emtivac stocks a large range of sizes with special versions for hazardous areas. Models range with suction capacities from 10 to 2,600 m3/hr and pressure to 75 kPa, vacuum to – 60 kPa. Our range of standard and custom designed laboratory equipment includes high vacuum pumps, chambers, ovens and diaphragm pumps. Emtivac is the Australian distributor for Thyracont instruments, to suit all process and scientific monitoring and control applications up to 1 x 10-9 mbar. 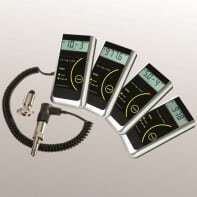 This equipment includes vacuum gauges, handheld compact meters, transducers, controllers and display units. Emtivac are specialist Pump Repairers to major industry throughout Australia and are proud to be appointed as an approved Renroc Group - Service Partner Applicator.Renroc Group Australia is the sole distribution and technology partner for Resimac Composite Coatings throughout Australia and Papua New Guinea. In collaboration with Emtivac Australia, Renroc Group Australia can supply full Scopes of Work and all specification services when any coating work is to be performed. 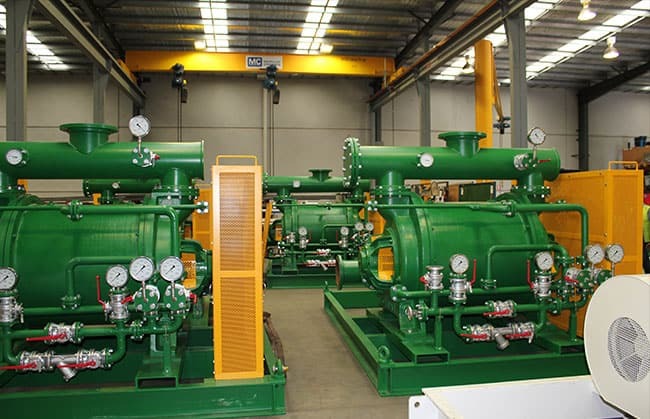 Emtivac performs the surface preparation and quality application of specialised Resimac Composite Coatings to all styles of equipment and specialises in the supply and refurbishment of Vacuum Pumps throughout Australia. Contact Emtivac today to find out more about our vacuum and centrifugal process pumps range or any of our process industry equipment including side channel blowers. Telephone (03) 9768 3240 or send an online enquiry today.